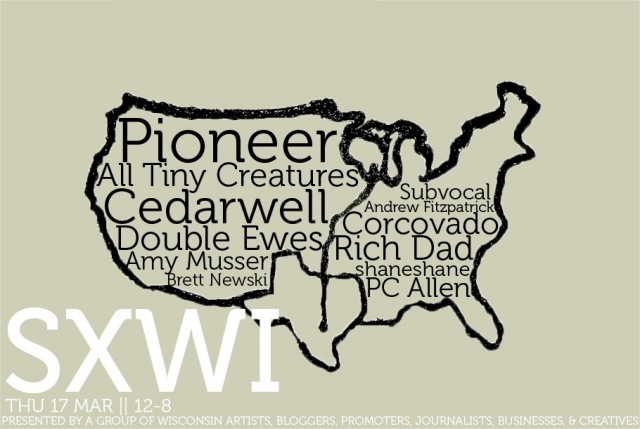 Cedarwell gets PHOX-y… 3 videos worth. yo-yo freakout in the night garden during the day in Sheboygan. with PHOX. what is up? …and what is a Shevegas hangout without a destinys child shout out?! Cedarwell still writes songs and plays concerts. here is a newer song about being real and real. take it slowly. this one has Cedarwell with three people. we will try it all again soon for the DCW album release show on Sat, June 30th at Paradigm with the fantastic Daredevil Christopher Wright. part of the proceeds will go to the troy tousey memorial fund. he recently passed away in a tragic bicycle accident. he was such a vibrant member of the Sheboygan community. he will be missed. On first look, this painting had an unusually calming effect on me. 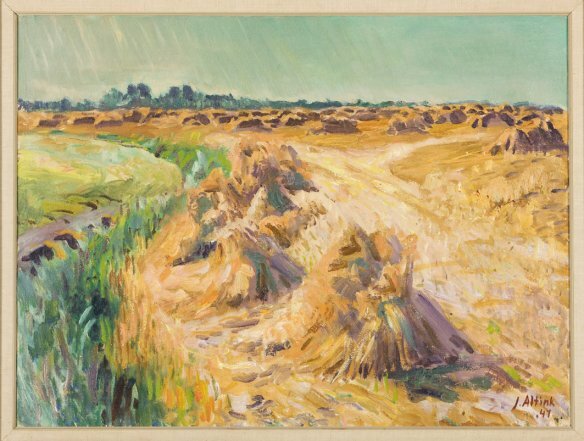 The more I looked at it – the standing wheat, the encroaching green grass on the left, the rays of light or rain in the background – the more I heard a story come through the painting. The year ‘47 placed clearly in the bottom right corner kept tugging at my writing and focusing my thoughts on the element of time and urgency in the painting. The work in the field is done, but something about the growing grass on the side and the rays of light/rain at the back leave a sense of urgency and fear that I could not shake. So we end up with a song from the perspective of the field with all its fears and hopes for the future. this song has been meaning to go on an album for some time. it is a slippery tune and we can not catch it entire. a few people have asked where to get it, so i decided to let the demo version we released on the acclaimed “Fall ’08 Tour EP” here she blows. Burn Up The Sky; Which One? Our friend Spencer Wells got stuck in Sheboygan during a snowstorm last winter and took the opportunity to film some homely Cedarwell songs. thanks spencer. check out his website and other videos here. they are awesome. A new Cedarwell official, taken place in Hamburg DE. in early spring, 2010. Proving playgrounds were intended for not just the youth, but for the man in every boy. 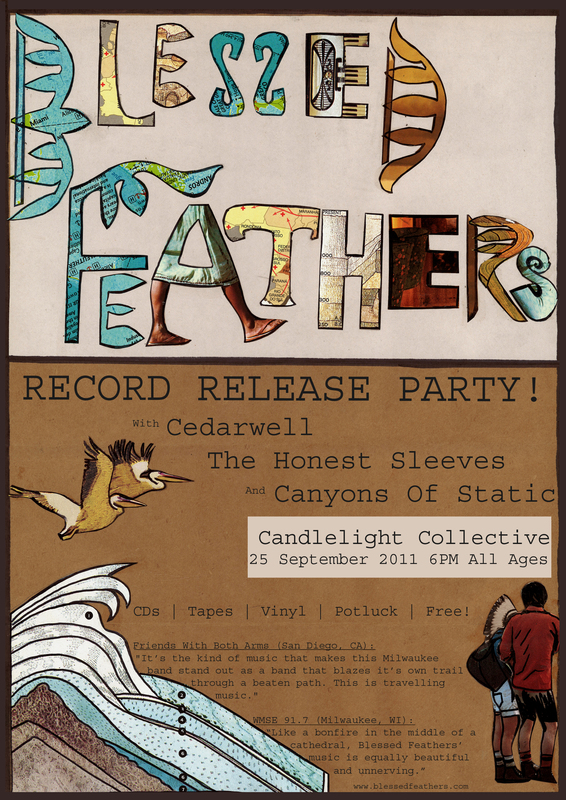 CD release show for Blessed Feathers! 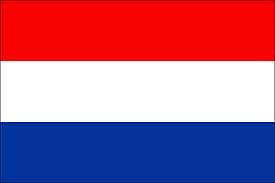 May 7: AMP-Munster, DE w/ Bjorn Kleinhenz! Thursday, March 17th, we will be playing an unofficial showcase along with fellow Wisconsin artists, bloggers, promoters, journalists, businesses and creatives. Come say hello. We start at 1pm. You can also follow @sxwisconsin on twitter. Jared and Erik recorded this last winter before heading out to tour Europe. 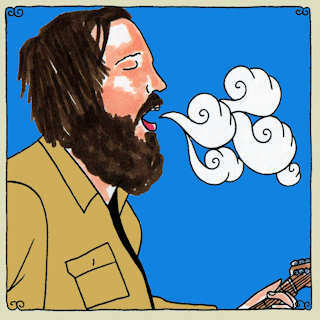 In case any of you haven’t heard of Daytrotter, they are a group of guys from Rock Island, Illinois, that record and post live sessions of bands from, well, everywhere. We are honored to have been daytrotted. Check out the whole session here.